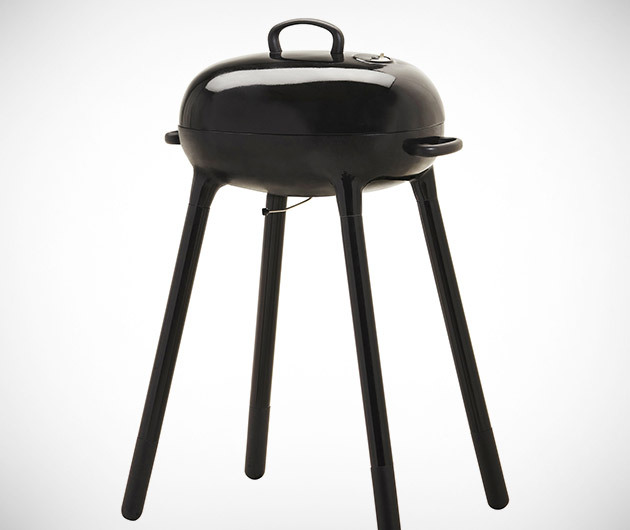 A great little BBQ for those strapped for space and/or cash from those good ol' Scandinavians. The IKEA Lillon Grill can be assembled at two heights and the body and hood's porcelain-enameled steel construction perfectly traps and spreads the heat. An adjustable airflow vent ensures desired temperatures - as do the heat insulated handles which ensure that you may burn the food, but not your fingers.